Without a doubt, Christmas is the most stressful time of the year; the pressures of shopping, preparing food, and everything else. But most could be forgiven so long as we are with our loved ones this special holiday. It is the perfect time to spend with your family or friends over delicious, traditional foods and treats. While most would contend with the hustle and bustle of majestic London, there are plenty of destinations out of town for an invigorating trip to history, elegance, royalty, and tradition. Make this Christmas one to remember by leaving the capital and head west. On Christmas Eve, walk around the royal town of Windsor and see the mysterious rocks of Stonhenge as you feast on a delicious lunch before admiring the Gregorian architectural splendor at Bath. With little traffic on the roads, you’ll arrive on the delightful town of Windsor in no time. Visit the home of Queen Elizabeth II in the world’s largest and oldest castle, Windsor Castle. Built high above the River Thames, it has been a royal residence for over 900 years and is where the Queen and Royal family traditionally spend Christmas. Marvel at its lavishly furnished surroundings that are used for State occasions to this day. On display inside the castle is Queen Mary’s world famous Doll’s House. You can also visit St. George’s Chapel, where the tombs of numerous kings and queens reside. The day’s much anticipated highlight comes next as you stop for a delightful lunch near Stonehenge.Feast on a delicious meal as you step back in time overlooking the beautiful surrounding. After lunch, wander around the ancient stone circle of Stonehenge. The monument first took shape 5,000 years ago and its purpose has been the subject of an abundance of theories. Continue to the slopes of the River Avon and discover the beauty of Bath. Known for its Gregorian architecture, Bath was inscribed as a UNESCO World Heritage Site in 1987. It also houses the Roman Baths, hidden from view until 1870. In Roman times a great Temple was built next to the sacred spring and the waters were believed to have healing properties that attracted visitors from across the Roman Empire. If getting away from the metropolis is not your priority, there are several Christmas Tours in London that you can join in. 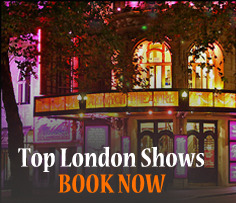 London night tours are a “must see and do”. The famous landmarks of London all light up in the night sky making them look even more outstanding than during the day. 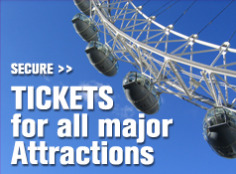 Through the Sightseeing Tour London, you’ll be able to witness the magnificent attractions in their celebratory boldness. Posted on December 3, 2012, in Christmas Tours, London attractions, Sightseeing Tours, Uncategorized, Visit Britain, Whats on London. Bookmark the permalink. Leave a comment.